Bangkok is one my favorite cities in the world and I like to go and visit it at least once a year. It is such a vibrant place, full of energy and good vibes and I feel so happy each time I get to experience its wonderful culture, people and of course food. Whenever I go to this incredible capital of Thailand I like to try a different hotel and during one of my recent trips I decided to stay at the Aetas Hotel. I have heard a lot of good opinions about it so I was really curious and excited to check it out and be able to share my thoughts on the blog as well. Few weeks before my holiday in Thailand I booked a four nights stay in a superior room at Aetas Bangkok Hotel in Sukhumvit at around 80 € a night. When we arrived at the hotel in the late hours of the evening we were greeted by lovely and professional staff who surprised us with a room upgrade, we were given the deluxe room instead of a superior one. It was such a nice gesture that made us feel extremely welcomed and even a little less tired after our very long flight. The deluxe room turned out to be absolutely wonderful, it was big and spacious (46 sqm) and had a breathtaking view of the city which I liked to enjoy watching every night before going to sleep. We had a large and comfortable king size bed which made me sleep like a baby through the night (paired with the fact that the room and the entire hotel is very silent and relaxing both during the night and daytime). The air conditioning which is absolutely essential in a city such as Bangkok was working perfectly as well as a free wi-fi and a television. Another sweet aspect of the room was a personalised telephone with my name on the display – it’s a small detail but I found it really nice, after all it’s the small things like that that make all the difference and make you feel well treated and at ease in a hotel. I liked the big and modern desk available in our room as well – if you have any work to do during your stay at Aetas Bangkok Hotel you will love it too. Other than that the amenities of the room include a fridge, a minibar, a safety box, tea, and coffee maker and electronic door locks. I must say I loved the bathroom as well, from the beginning I knew I really wanted a room with a bathtub and I wasn’t disappointed. There is also a walk-in shower however if you prefer. 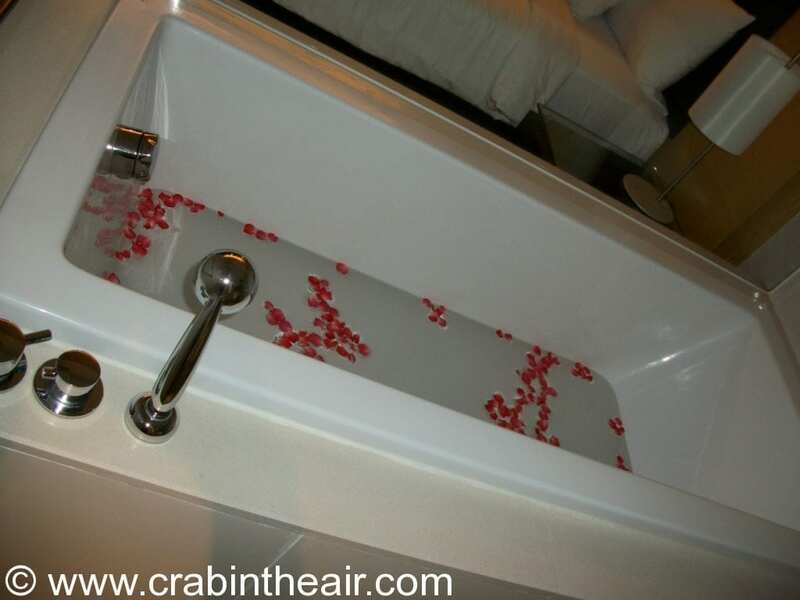 As you can see on the pictures below the bathroom is big and modern and at our arrival, we were surprised with a ready bath with flower flakes in it – so beautiful and romantic. When it comes to breakfast the food is just delicious – you can choose from a large variety of different foods and cuisines, everything works well and we never had to wait for a table in the morning. Everything is very clean and well organized while the atmosphere stays calm and relaxed – an aspect I appreciated very much as I don’t like the chaos and noise in the early hours of the day. 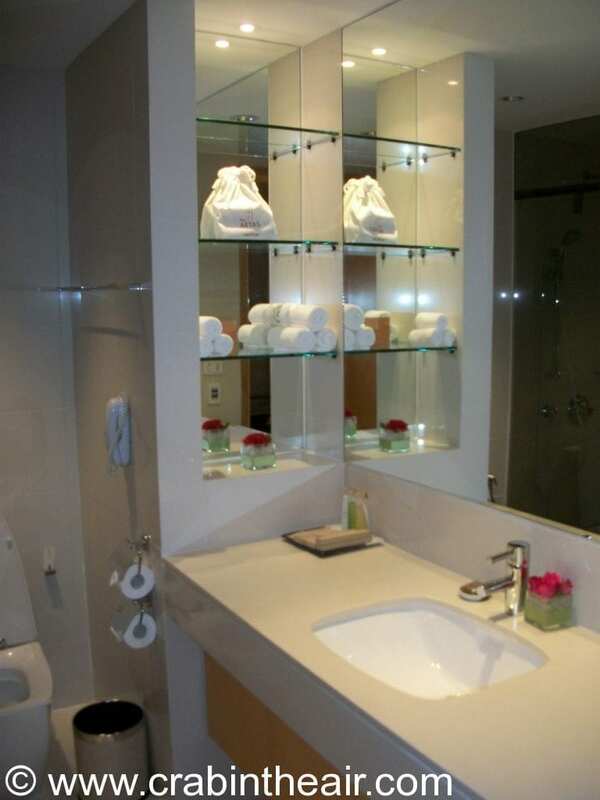 49 Phloenchit Road Soi Ruamrudee Lumpini Pathumwan, Pathumwan, 10330 Bangkok, Thailand. It isn’t on the main road, it is located on a quiet secondary street and it is a 10 minute walk from the skytrain BTS Station of Phloen Chit. In fact there is a complimentary bus service from the hotel to the station but most of the time we prefered to just take a walk. 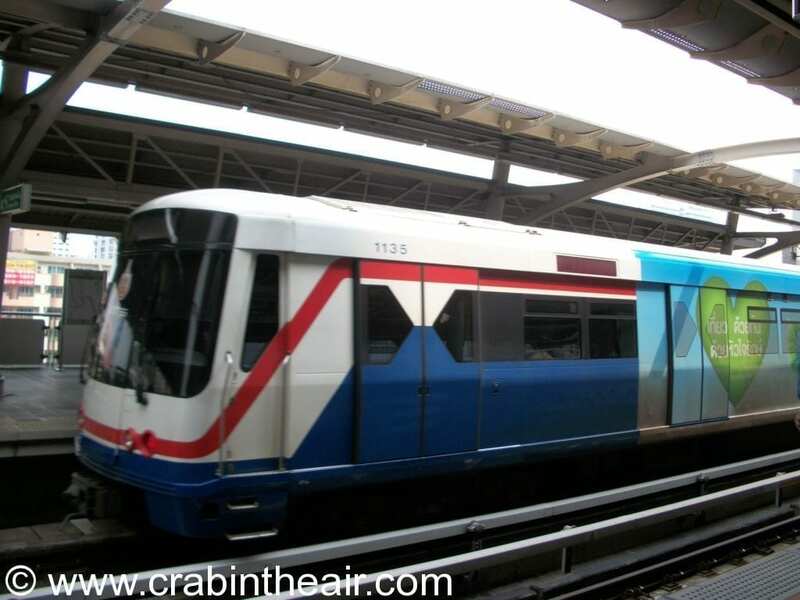 From the Phloen Chit Station you can reach all the most important spots of Bangkok in a matter of minutes. 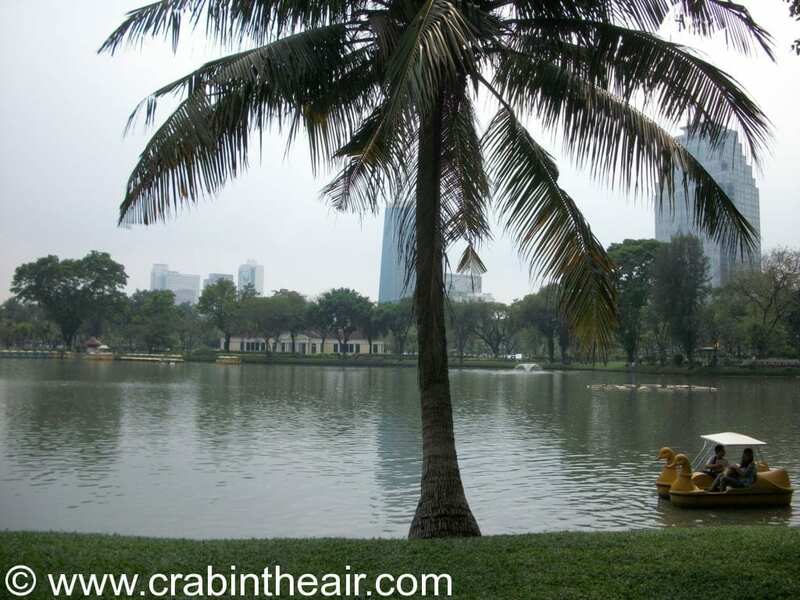 It is also possible to walk from the hotel to the famous and beautiful Lumphini Park, we did that once and it was a pleasant 20-minute stroll concluded with an enjoyable boat trip on the artificial lake. Overall The Aetas Bangkok Hotel is a wonderful place to stay, I would recommend it especially to couples and families and I am looking forward to staying there again in the future.